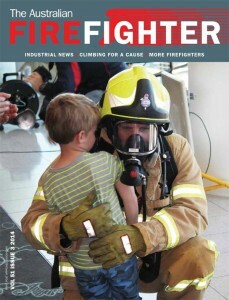 The latest edition of the Australian Firefighter magazine is now available to download. Click to download The Australian Firefighter Magazine Spring 2014 (PDF download—you can also right click to save-as to your computer). National Secretary Peter Marshall summarises his latest report by saying: “firefighters are firefighters and we need more of them”.